eHidra team is getting bigger and bigger and we are glad to share good news like this with you. 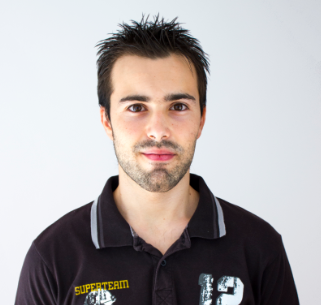 And this time, it’s David Molina who has just joined our web development team. David pursued his studies in Computer Engineering at the University of Málaga. Then, he studied a Master’s Degree in Software Engineering and Artificial Intelligence as well a Degree in Computer Engineering. Certainly, he hasn’t stopped training. This has led him to develop an exceptional talent, and consequently, to be key in our team. David will be part of the eHidra web development team. However, he will also have to work on his own projects, which won’t only entail overcoming new obstacles but also getting deeply involved in them. Undoubtedly, we are immensely pleased with our new member. We are glad to see that eHidra team is becoming increasingly full of professionals.